This post has been written in partnership with Kleenex. I was sent some items to aid with the photography of this post but all views are 100% my own! With September being almost out, and the start of the university term beginning, I'm typing this post tucked up in my new student house pondering all things education related and thought it would be the perfect time to share those musings with you! I'm currently about to start my second year of university studies and so the fear for increased work load and organising my placement for next year is SO REAL. I feel super excited to be back at uni and get into studying all things fashion again and really enjoying being so creative with tonnes of freedom on my course! 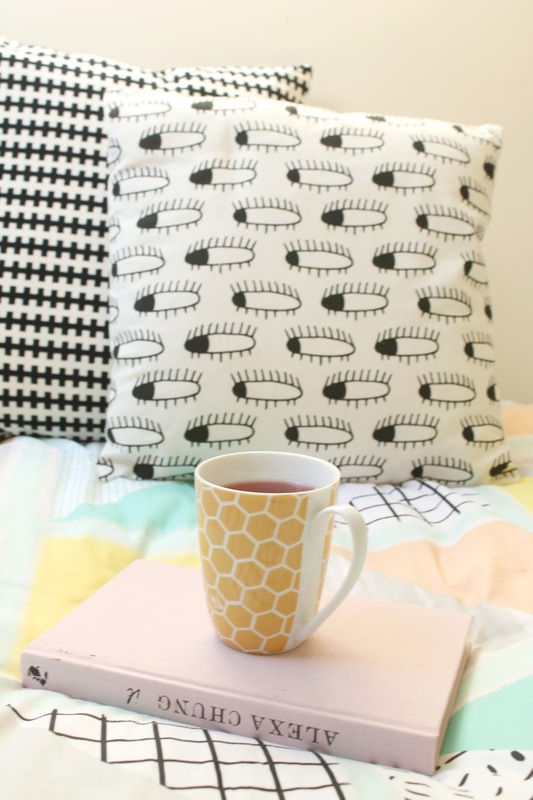 As with any new term at university, the dreaded Freshers Flu is just around the corner and so I thought I would share some tips on how I survived my first few weeks at university this time last year, and hopefully pass on some wisdom. If you're not one for partying, do not be deceived. I didn't even attend Freshers last year yet STILL got so, very, ill. You've been warned. Keep reading if you want to survive. 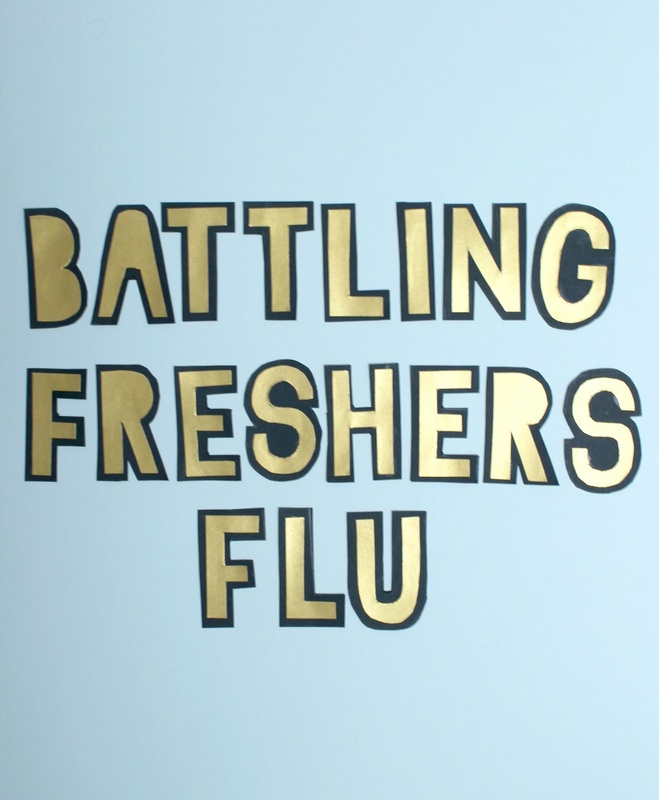 If you're suffering from Freshers Flu, the dreaded sniffly nose, sore throat and feeling generally as though university has already killed you off already are probably the most common symptoms. As someone with possibly THE worst immune system ever, I have complete knowledge of what to do when wrapping yourself up in your duvet 24/7 isn't an option (*cries*). Tissues, tissues and more tissues! When you've got a cold, there's nothing worse than irritating your skin further with scratchy tissues or loo roll; in my experience it's best not to channel Rudolph quite so early on. 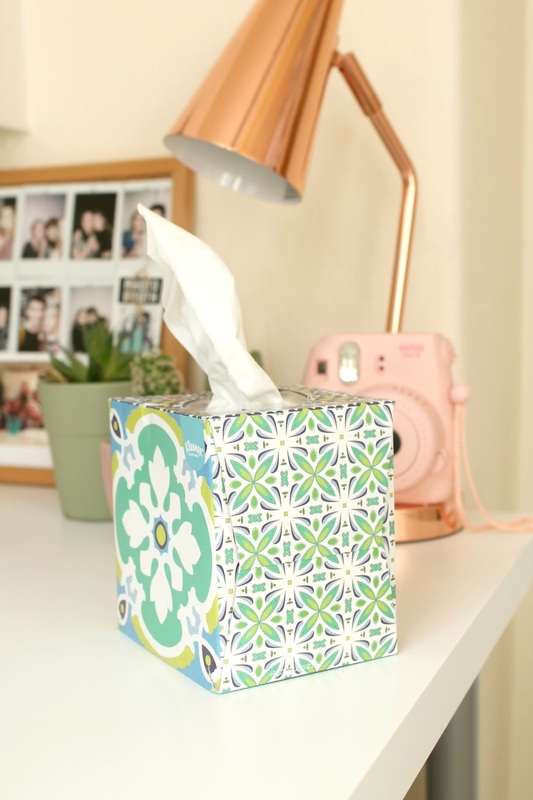 I'm working with Kleenex on this post and whether it be for on the go or in your freshly moved in to student halls, keeping some tissues nearby is a decision you won't be regretting! As well as the nights out that Freshers brings, the start of university means early mornings and feeling a little less than perky in your first few lectures. Grab some Kleenex to shove in your bag during the morning rush out of the door and you'll thank me later when you can refrain from sniffling all the way through the dreaded ice breakers that are bound to be coming your way *nervous shivers*. If you want go to the extra mile in making pals with your room mates, pick up some tissues with your weekly shop and leave a box in the kitchen for everyone to make the most of. They'll be sure to thank you later PLUS you get ultimate room mate brownie points. YUS! 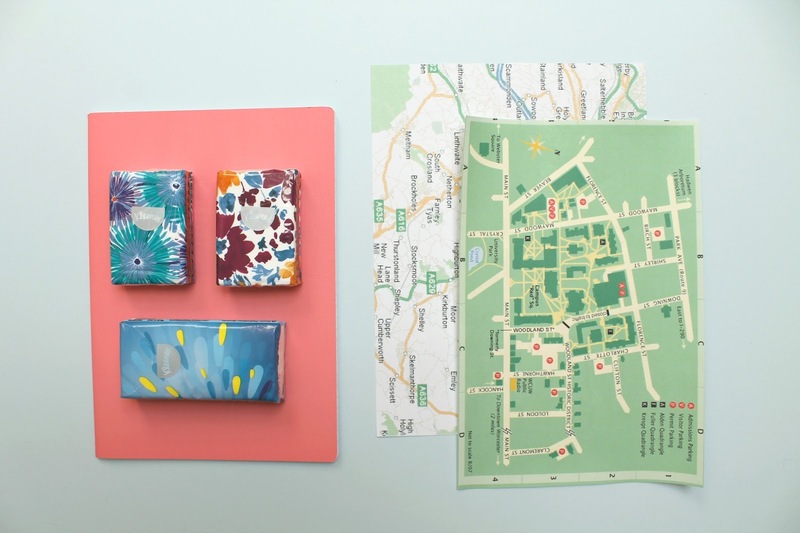 Getting out of your bedroom and exploring your new university city is another way to feel a little more perky and banish those germs whilst also getting to grips with your new home! Grab some of your flat mates or if you're confident enough, just have Apple Maps handy and explore the city you're going to be living in for the next few years and get your endorphins flowing and make use of the fresh air. Staying in bed probably seems like the easiest and most comfortable option but often once you're out and about you'll start to feel the benefits of being active and the fresh air. If you're feeling particularly adventurous, a jog or run is always a great way to banish a hangover and will be sure to make battling Freshers Flu ten times easier! Possibly a tip a lot of new university students would be likely to scoff at is the idea of eating healthy and nutritious meals to keep your body functioning well, but getting the right vitamins whilst you're feeling rubbish can't be a bad thing right? Grabbing a few fresh ingredients on your weekly shop rather than the standard pot noodle and ready meal combo is sure to have your body feeling better in no time; NEVER UNDERESTIMATE THE POWER OF THE VEGETABLE. Even meals as simple as pasta bakes, risottos and stir fry's are often packed with vegetables to heal your body but in general will help you feel a little more human than a packet of super noodles. You are what you eat after all! A tip that is probably not commonly associated with helping rid Freshers Flu but was something that made me feel a lot better last year was the importance of unpacking all your things and making your uni halls as cosy as possible. It's so easy to underestimate the importance of the environment you're in when it comes to your mood and general wellbeing so I can't stress enough how much I would recommend really making your halls your home. Blankets, cushions and TONNES of photos on your pin board are probably the first place to start when it comes to making your bedroom as cosy as possible but other additions like fairy lights and plants all work together to make your room feel like your own! I did a blog post featuring some photos of how I decorated my university room last year which you can view HERE and maybe get some inspo! 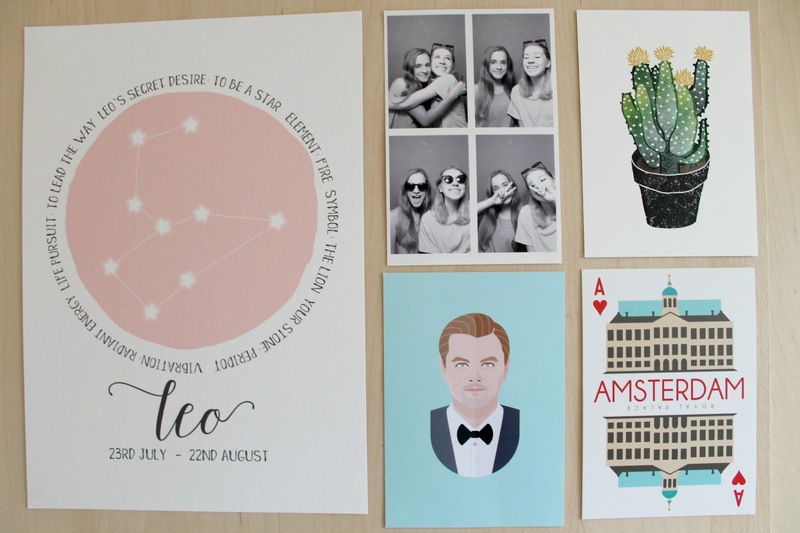 Pinterest is also great for getting storage ideas and unique ways of personalising your room! Staying hydrated! If you're planning to consume a lot of alcohol during Freshers, make sure you keep drinking plenty of water to keep your body hydrated and banish any sign of a hangover! Water will also help flush any toxins out of your body so is super important and will have you feeling motivated and ready to tackle your degree in no time! Fruit teas are another great option when it comes to getting some goodness back in your body as they're packed with antioxidants and overall are a great alternative to fizzy drinks. 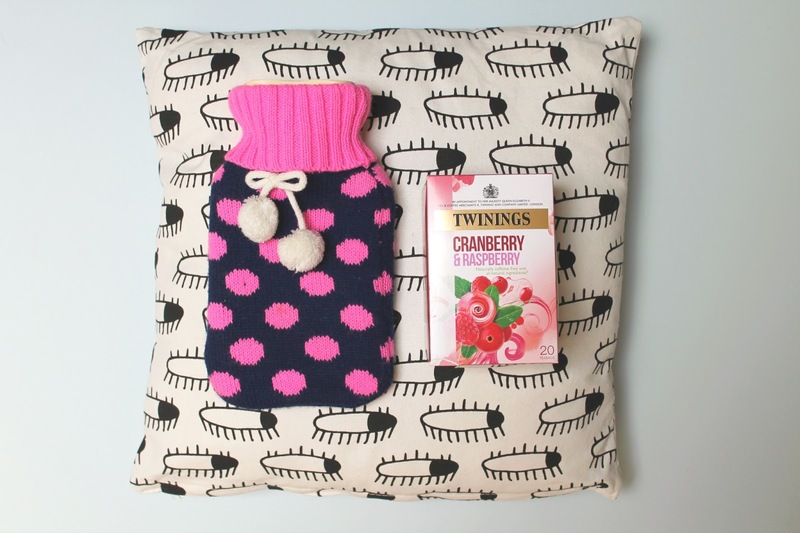 If you're reading this post from your bed, surrounded by a sea of tissues, I hope this has sent some helpful tips your way and you can battle through Freshers Flu to feel a little more alive and ready to start university! Good luck! This post has been written in partnership with Kleenex although all views on surviving illness (from someone who is ill SO VERY OFTEN) are mine.